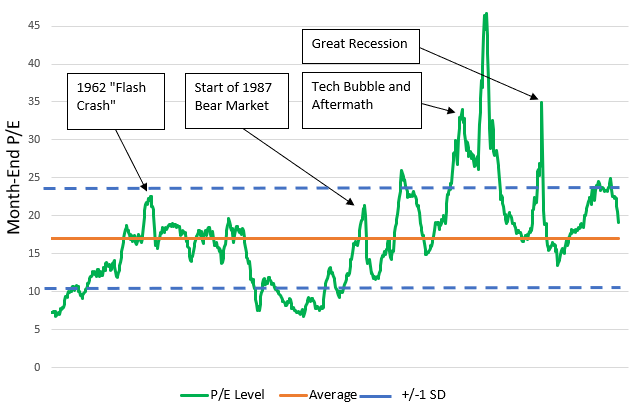 Following convention, we define bear markets as periods where the nominal price level of an equity index loses 1/5th of its value from a recent market peak. 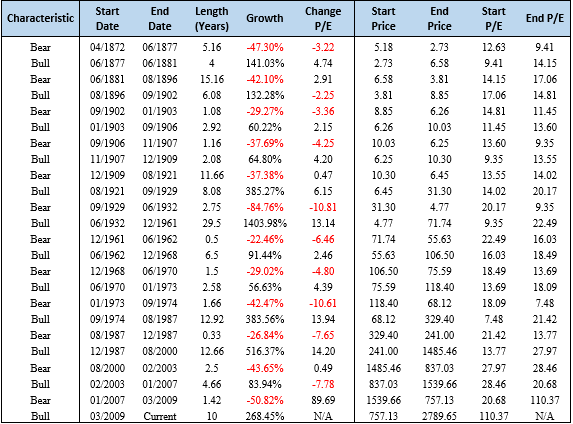 Table 1 shows the length and percentage of advances/declines for each market regime since 1872. On average, the 12 bull markets have lasted about 8.5 years and had a cumulative price return of just under 300%. 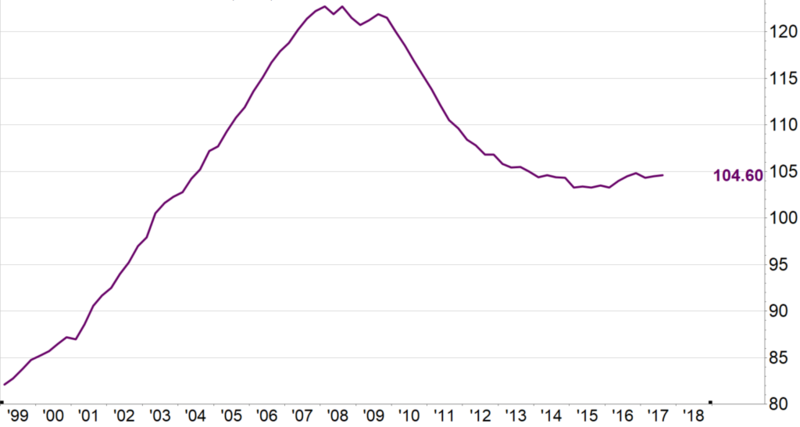 This suggests that from a historical perspective, the recovery since the downfall of Lehman Brothers and Bear Stearns is not an outlier in terms of either length or scale. For comparisons sake, the market saw 516% appreciation over a 13-year period from the worst part of the 1987 crash to the onset of Y2K and the tech bubble, a run that has trumped this rebound considerably.